Forklift & Material Handling - UK's BEST value Hangcha Electric Pallet Truck Mini Range - 1500kg Load Capacity - GB Forklifts from GB Forklifts Ltd.
Hangcha A Series Electric Pallet Truck Mini Range Ⅱ with 1500kg lift capacity has been engineered to be both powerful and flexible to meet the requirements of many demanding applications. Whether it's supermarket work, delivery service, stock replenishment or heavy manufacturing the A series electric pallet truck Mini Range Ⅱ has the strength and durability to minimise your total cost of ownership. 5-pivot design provides a longer working life. Waterproof connectors, all wires and cables are protected which greatly improve the reliability of the electric system. 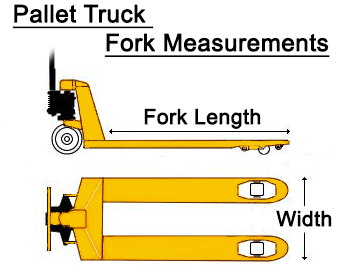 Punch formed forks provide more strength and tip guide to provide higher efficient operation. Using non-contact proximity switch improves safety and reliability. Rated capacity 1500kg meets the needs of the majority of customers. The traction motor features excellent acceleration performance, outstanding performance and low heat. The latest CURTIS permanent magnet control system makes for an precise and stable performance. The operating tiller ensures operations can be done easily with comfortable operation. Optimised design gives good visibility and easy entrance of the pallet. Built in charger and maintenance free gel battery adopted to provide convenient usage. The compact body and semicircular design provide an ideal operation in limited space and the ability of walking upright greatly increases the convenience in enclosed environments. Built-in charger and maintenance free gel battery means you don't need to worry about them. The standard equipped electronic lifting limitation protects the pump motor from damage and is more energy saving.